Can Square impress Wall Street? Mobile payments startup Square has set the price for its IPO shares at $9, well below what was projected. Square is set to make its Wall Street debut Thursday. But it is doing so at a time when investors are starting to express doubts about the stratospheric valuations of so-called "unicorns" -- billion dollar Silicon Valley darlings like Airbnb, Snapchat, Dropbox and, of course, Uber. Square (SQ), known for credit card reading gadgets that merchants attach to phones and tablets, plans to sell 27 million shares at $9 a share, according to a company statement. That's below the company's projected range of $11 to $13 a share. At that price of $9, Square would raise $243 million and be valued at nearly $2.9 billion. That's a steep discount to the $6 billion valuation Square fetched when it last raised money from private investors a little more than a year ago. Square is the second unicorn to go public in recent months. Investors have to be hoping it does better than the last one. Pure Storage (PSTG) has barely budged from its IPO price. The company is going public on the same day that another well-known tech firm, dating portfolio Match (MTCH), is set to start trading. Internet conglomerate IAC (IACI), controlled by Barry Diller, is selling a minority stake in the company that also owns Tinder. Square faces many challenges. For one, Square CEO Jack Dorsey is also CEO of another, more famous, company that isn't exactly thriving right now -- Twitter (TWTR). Twitter's stock is currently trading below $26 -- the price that it went public at in November 2013. Will Dorsey be able to effectively lead both companies at a time when each of them faces significant challenges? Investors are skeptical. "Square is a compelling story and their CEO is a true celebrity. But scrutiny will soon increase about their growth and competition," said Gil Luria, an analyst at Wedbush Securities. Yes, Square's sales are growing rapidly -- up nearly 50% in the first nine months of the year compared to a year ago. So that's a good selling point. Luria added that the company may also be looking to price the IPO conservatively to fuel demand and increase the chances of a big first-day opening. But Square is losing money. It's not clear when that will change. 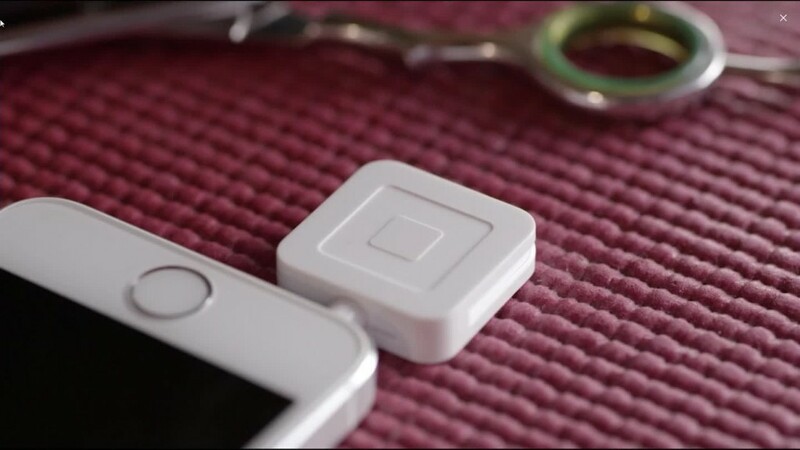 "It will take many years for Square to make money," Luria said. He added that Square can grow sales at an impressive clip by continuing to target small merchants -- but this is a market that isn't very lucrative. At the end of the day, Square is still just a payments company. And there are lots of them out there. Payments processing giant First Data (FDC) went public earlier this year, too, and had a relatively lackluster debut. Even at a $2.9 billion valuation, Square would be trading at nearly 7 times Luria's sales forecasts. That's a sizable premium to First Data and other payments firms such as Vantiv (VNTV), Heartland Payment Systems (HPY) and Global Payments (GPN). Square also competes with PayPal (PYPL) -- whose stock has been relatively flat since it was spun off from eBay (EBAY) a few months ago. PayPal doesn't seem too concerned about a threat from Square. "Over the past few months, what has become blindingly clear is how hot the financial payment sector has become. I'm amazed by how many startups there are," said Anuj Nayar, senior director of communications and customer engagement with PayPal. "But if you have just one side of the transaction, it's more difficult to grow," he added. There's also a hot private startup called Stripe that is backed by PayPal cofounders Max Levchin and Peter Thiel -- as well as some guy named Elon Musk. Stripe is worth $5 billion based on its last round of financing. And Square may soon face more competition from the likes of Google (GOOGL), Facebook (FB), Amazon (AMZN) and Apple (AAPL) -- which would all love to get a bigger piece of the growing mobile payments market. Apple is even rumored to be considering using its Apple Pay to launch a peer-to-peer money transfer service that could rival Square Cash and PayPal's Venmo. Square has other businesses besides payment processing. It bought food delivery service Caviar last year and has started up Square Capital to lend money to some of its small business customers. But these seem like niche markets at best. As PayPal's Nayar points out, being big is the key to success in payment processing. "Credit card processing is inherently a low margin business," he said. "Payments is all about scale. If I have the best idea in the world and nobody is using it, it's useless." Square is definitely not useless. But it may not be worth all the hype.